We are equipping music businesses to move up the financial scale. 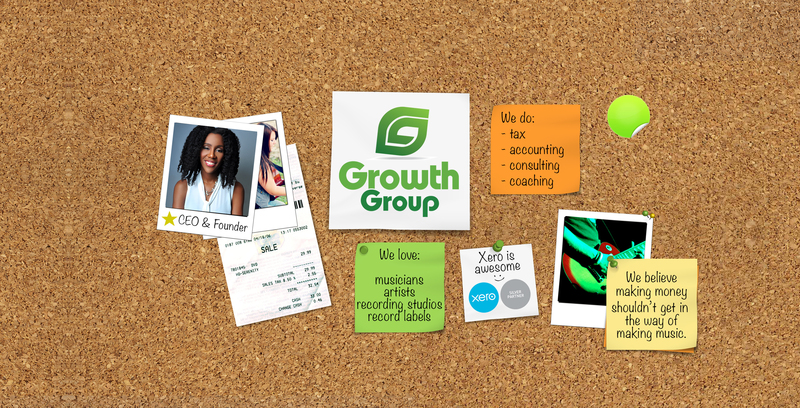 Growth Group helps design the financial life of music businesses, because making money shouldn’t get in the way of making music. Whether you’re a solo artist, singer-songwriter, instrumentalist, or full band, you have one thing in common, you want an accountant who understands the creative process and your music business. Whether you own a studio in your basement or a million dollar sound recording empire, you deserve an accountant who understands your needs and exceeds your expectations. Managing artists’ royalties, marketing, and ordering & shipping products, are your concerns. Leave the accounting to the music industry professionals.